If you’re a fan of all things coconut, just wait until you try these Toasted Coconut Cake Doughnuts. 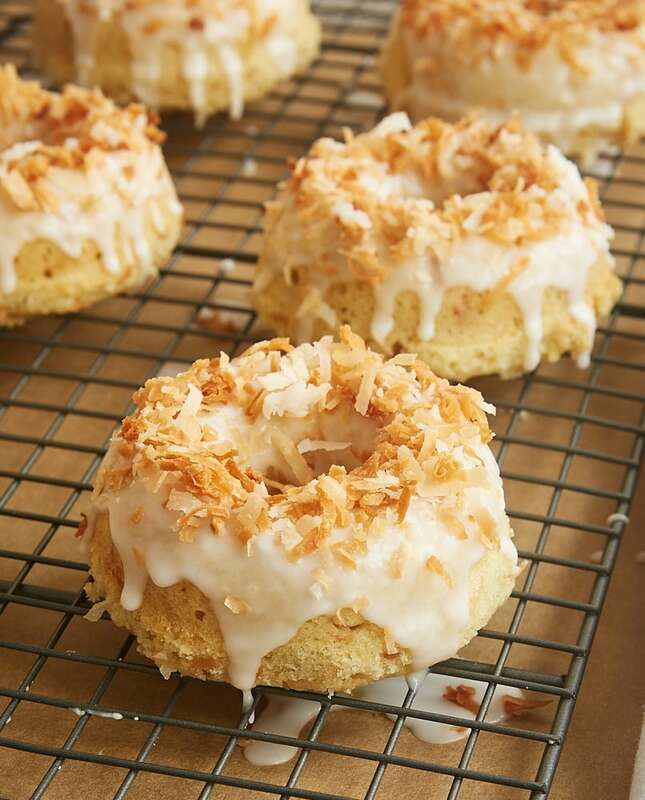 With coconut in the doughnuts, in the glaze, and sprinkled on top, these are sure to satisfy even your biggest coconut craving! When I was recently brainstorming recipe ideas, it occurred to me that it had been far too long since I made doughnuts. 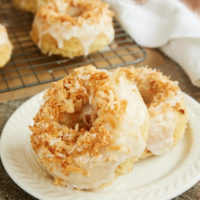 Combine that with my current coconut craving, and you get these Toasted Coconut Cake Doughnuts! These doughnuts are an all-out coconut experience. 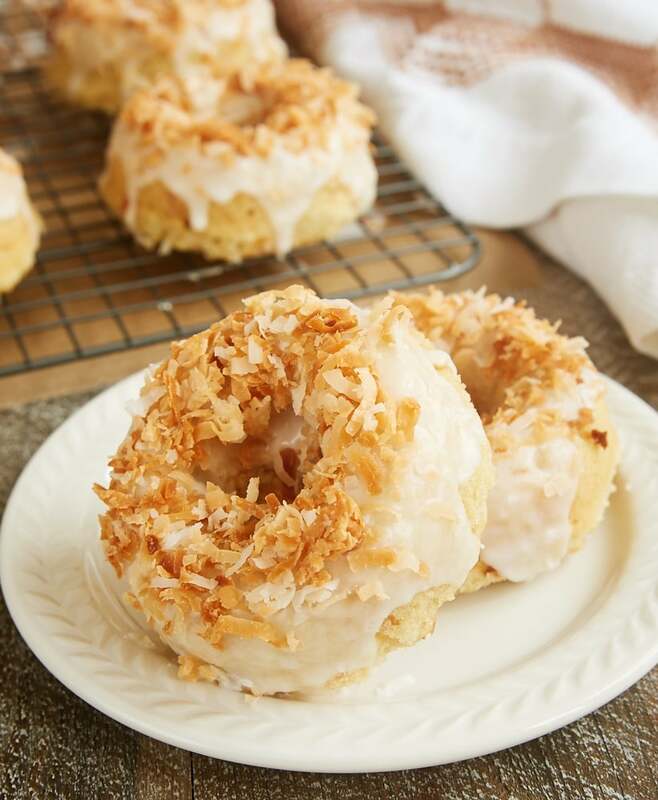 Not only is there toasted coconut inside and on top, but there is also coconut milk in both the doughnuts and in the glaze. If you’re a big coconut fan like I am, you’re going to love these! I’m not a big fan of deep frying anything in my kitchen, so I enjoy using my doughnut pan for making baked doughnuts. As much as I love the look of these, I’m going to let you in on a little secret. There’s nothing magical about a doughnut pan. Sure, they give you baked goods the shape of doughnuts, but these are cake doughnuts. 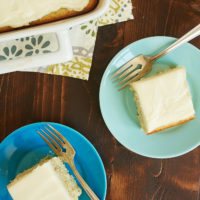 The batter is just a little thicker than most standard cake batters. 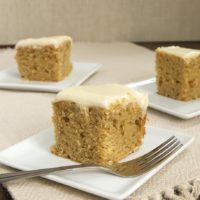 That means that you can easily bake the batter in a different pan, like a muffin pan. It’s good to have another option if you don’t want to add another pan to your kitchen cabinets. For my tips and recommended methods for toasting coconut, be sure to read How to Toast Coconut. To get the classic doughnut shape from a doughnut pan, you’ll need to fill each cavity almost to the top. 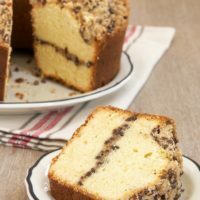 I’ve read recipes that say 3/4 full, but I find that I need to fill them a bit more than that to get the height and shape that I want. For the pan I have, that equates to somewhere around 5 tablespoons of batter per doughnut. For a muffin pan, you’ll usually need to use about 3 tablespoons of batter per muffin cup to fill them 3/4 full. No matter which pan route you choose, you’re in for a delightful coconut treat. These doughnuts are thick and soft, and there’s no shortage of coconut flavor. All of that toasted coconut is just fantastic! It was certainly love at first bite for me. They more than satisfied my coconut craving. Plus, they’re just so pretty, aren’t they? 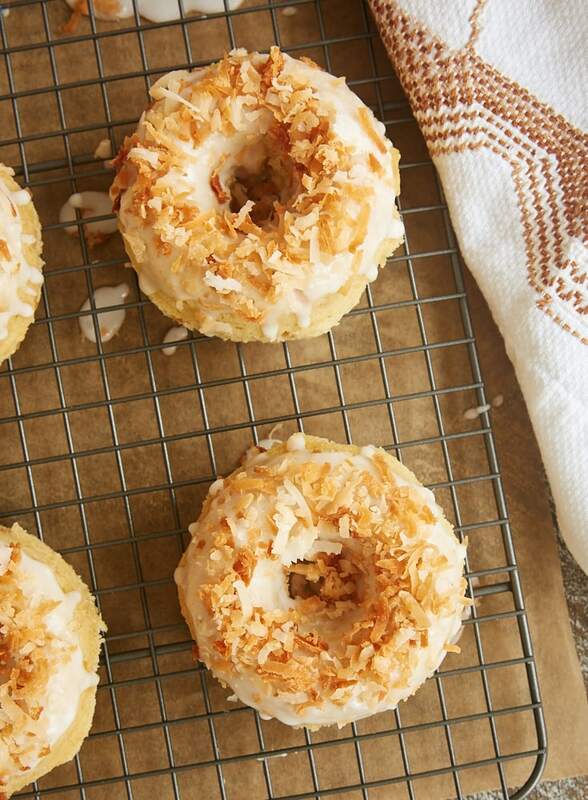 Coconut fans will devour these Toasted Coconut Cake Doughnuts. These are beyond outstanding! Preheat oven to 350°F. Grease a 6-cavity doughnut pan. Line a rimmed baking sheet with parchment paper or aluminum foil. Spread the coconut in a single layer on the pan. Bake for 1o to 12 minutes, stirring occasionally, until toasted. Set aside to cool. Reduce mixer speed to low. 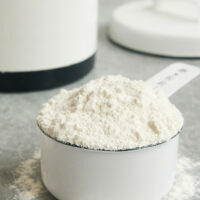 Add the flour mixture in three portions, alternating with two portions of the coconut milk. Set aside about 1/4 cup of the toasted coconut for garnish. Stir the remainder into the batter. Bake 12 to 15 minutes, or until the doughnuts are golden brown, and a pick inserted into the center comes out clean. Cool in the pan for 5 minutes. Then transfer the doughnuts to a wire rack to cool completely. 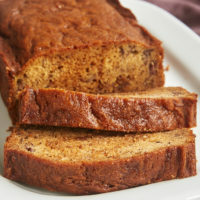 Whisk together the confectioners’ sugar and 2 tablespoons of coconut milk. Add more milk, about a teaspoonful at a time, if needed to attain the desired consistency. It should be thick yet pourable. Dip each doughnut into the glaze, or spoon the glaze over the top of each doughnut. Sprinkle with the reserved toasted coconut. Allow the glaze to set for about 5 minutes before serving. *I use canned coconut milk. Be sure to stir it well before using. **Aim for between 3/4 full and the top, but be sure not to overfill or the doughnuts will bake over the top and the center. Be sure to spread the batter well so there aren’t any gaps in the batter. A piping bag is another option for filling the pan well. If you do overfill, you can always use a thin knife to trim the sides and/or middle of the doughnuts. I just made these and they are yummy😋 I added some lemon zest to the batter and lemon juice and zest to the glaze. I had coconut milk in the carton so used that. Just wondering if that’s the same as what is in the can? I cooked for 12 minutes. I put the batter in a ziplock bag and cut tip and it really does make getting the batter in the pan much easier. I saved about 1/3 cup coconut for the top and it was just enough to cover them. Great recipe!!! Hi, Laurel. I’ve actually never used coconut milk from a carton, so I don’t know what the difference is. Thanks for letting me know that it worked with the carton variety! I am a coconut fanatic, and can’t wait to try these. These look so good! 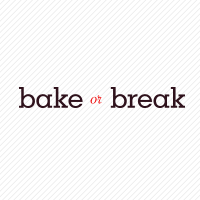 I like that they’re baked. I’ll be trying them soon. All out coconut experiences are the best kind of experiences to this coconut lover! These look so perfect.